Global’s Duct Mounting RH and Temperature sensors are specifically designed for measuring RH and Temperature in duct. This sensor has an SS 304 protection tube for the sensor. 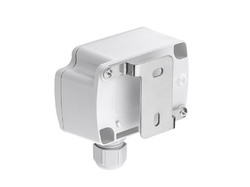 The terminations of this sensor are in certified IEC 60079-1, Gas Grp. IIA, IIB, Flameproof Enclosure. 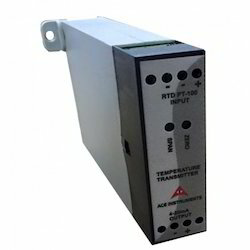 This sensor provides Dual 0-10V DC Analogue output for RH and Temperature. - Terminal block model: from -100 to +400°C. It is the IOT Product. It regularly updates the Oxygen level, temperature, Humidity for every minute and pushes to your web server. It is useful for cold storages and any ware houses to control the temperate. Our company has created niche in field of providing a premium quality range of Wire Temperature Sensor. Our organization plays an important role in offering Temperature Sensor to our clients. For its production, experts have mainly used ceramic and other material. It is applicable for wide ranging temperatures. It is used in area of analytical laboratory testing and can be used at different operating pressures and temperatures. We have gained a remarkable position in the market that is involved in offering Temperature Sensor. We are counted amongst the reputed manufacturers and suppliers of a broad standard range of Cable Sensors. These are manufactured as per the specifications given by our customers and are delivered within the short time periods. Moreover, these find usage in tank & pipeline and machine construction. Our company has created a niche in the field of offering Temperature Sensor.